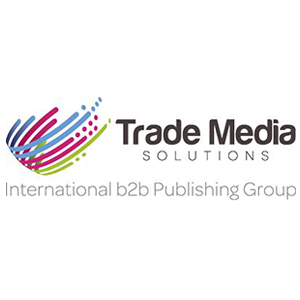 The International Food & Drink Event (IFE) is returning to ExCeL London for its 21st edition, March 17-20. The organizers describe it is a “must-attend” for all baking professionals looking to explore a taste of tomorrow and will provide the chance to discover emerging trends, meet with thousands of international, future-focused brands, and hear inspiring and thought-provoking talks from key figures across the food & drink industry. To find the insights of the events, World Bakers talked to Soraya Gadelrab, event director for IFE. IFE offers an opportunity for both British and international suppliers to meet and connect with top buyers and operators in the bakery and confectionery industries, with 1,350 cutting-edge food & drink manufacturers attending from 111 countries. Highlights to look out for at the 2019 event include the Talking Trends stage, where prominent experts from the food & drink industry will share their experiences, opinions and predictions. The impressive line-up includes Maria Antidormi, Insight Consultant at Anima Insight; Al Overton, senior buyer at Planet Organic; and James Hacon, managing director of Think Hospitality. In addition, the Tasting Trends area – which is new to IFE 2019 – will provide a multi-sensory experience that will take visitors on a culinary journey as they see, smell and taste the food & drink of the future, Gadelrab explained. Moreover, veganism is a trend which has turned the food & drink sector on its head, in fact, it’s estimated that over 3.5 million people in the UK are now vegan, the event director for IFE said. “With this figure rising, veganism and plant-based cooking is having a big impact on the baking industry. At IFE 2019, there will be a number of exhibitors launching vegan products, such as The Big Banana Bread Co. which will be showcasing a vegan slice, as well as some high-profile speakers talking about the growth of the trend and where they see it developing. These include Derek Sarno, Director of Plant-Based Food Innovation at Tesco and Ella Milla, Founder & Brand Director at Deliciously Ella,” Gadelrab told us. Since its launch 42 years ago, IFE has remained at the heart of the food & drink community. Food & drink trends are always evolving, and IFE has maintained the focus on showcasing the latest innovations. “This is achieved through creating new interactive attractions and selecting exhibitors who are launching exciting innovative products,” IFE representative said. New for this year is Tasting Trends, which is a street food style feature offering buyers and chefs the chance to taste and hear about the hottest food & drink trends of 2019. During the 30-minute experiential sessions, visitors will interact with a host of chefs as they enjoy live cooking demonstrations, learn about the key ways to respond to the trends and sample the latest creations for themselves. To ensure visitors do not miss out on key insights, back by popular demand are the IFE Trend Trails. Designed to help visitors navigate their way around the event one key insight at a time, the Trend Trails will visit some of the most progressive brands in the plant-based, food to go, private label, circular brands and global innovations movements. 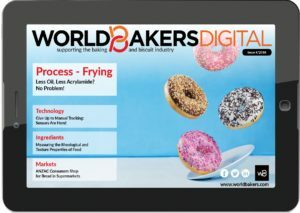 Bakery professionals can use the specifically designed trails to plan out their trip and make sure they are visiting all of the areas and exhibitors on their wish lists. The IFE website is also filled with lots of useful information for visitors including details on the best travel routes and places to stay, further information on the exhibitors and what they will be showcasing, as well as the full speaker line up. 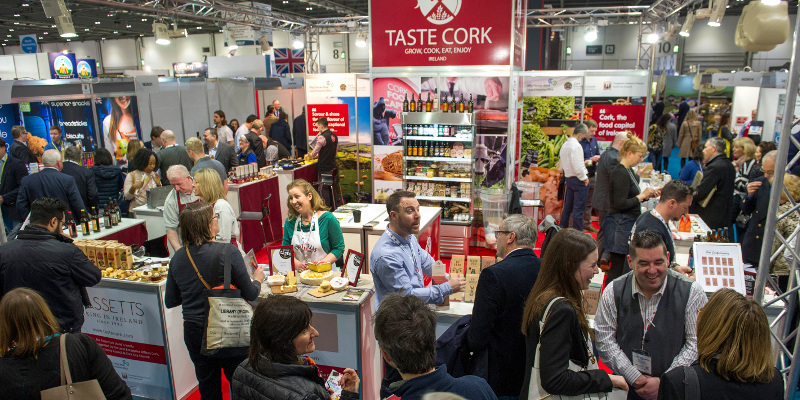 “With a jam-packed line up, IFE 2019 aims to help buyers navigate the changing landscape of the food & drink market by exploring the trends which will shape the industry this year and beyond. To help form the event agenda, IFE surveyed its network of members to find out which trends made the biggest impact on their businesses last year,” Gadelrab said. Among them, plant-based food & veganism, the free-from movement and alcohol-free beverages were listed as the top three trends that influenced the sector in 2018. Looking at what is on the horizon for 2019, IFE’s research also found that plant-based eating, sustainable packaging, gut-friendly foods and sugar-free are the most prominent trends businesses are looking to leverage in 2019 – demonstrating the affect consumers’ growing interest in health & wellbeing is having on the sector. “We’re proud that IFE has become firmly established on the food & drink industry calendar, however, we’re acutely aware that we can’t be complacent and must continue to work hard to make sure buyers and suppliers feel it is a valuable experience and worth taking precious time out of their schedule to attend. That’s why for the 2019 event, we’re collaborating with seven industry experts to help build the best and more insightful line up,” the event director told us. At IFE 2019, there will be dedicated bakery and confectionery areas, as well as an ingredients section and a health & wellbeing zone, so bakery and confectionery professionals are sure to find an abundance of new products, insights and industry trends to help inform their business. As the food & drink industry’s biggest event of the year, IFE 2019 has garnered interest from some of the sector’s leading bakery and confectionery brands.